Each year the Ad Council continues its mission to inspire change and improve lives through multimedia public service advertising campaigns on behalf of important social issues. Waze was honored and humbled to be asked to participate in support of The Shelter Pet Project, a collaborative effort between the Ad Council and two leading animal welfare groups, Humane Society of the United States and Maddie’s Fund. The campaign works to break down misconceptions around pet adoption so shelters and rescue groups become the first choice and preferred way for everyone to acquire a pet. 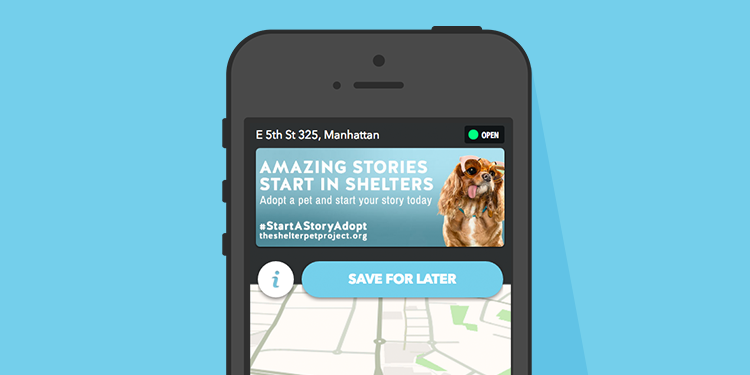 Waze and OMD bring the #StartAStoryAdopt campaign to local communities. In partnership with media agency OMD, Waze was able to donate media inventory – branded pins and zero speed takeovers – designed to make drivers aware of pet adoption group locations. The zero speed takeover units ran nationally during the month of May, National Pet Month. Waze was able to natively "pin" 85 shelter locations across the U.S. within the Waze map interface. In tandem with the takeover unit, Waze served over 12 million ad impressions, which influenced over 2,700 navigations to the targeted pet adoption group locations. Over 4,400 campaign messages were saved by Waze drivers. 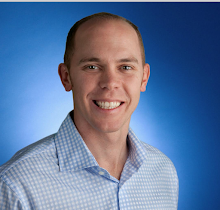 "By partnering with Waze to feature shelter locations on the map, we were able to bring a local element to our campaign and connect people to organizations and adoptable animals near them," said Beth Ellard, EVP, Media at the Ad Council. As marketers, there is so much we can do to help raise awareness of public issues. Waze was honored to participate in this very worthy cause, making it easy for drivers nationwide to head to a shelter and adopt a pet. To get involved with this or other campaigns addressing public issues, visit www.adcouncil.org.